On August 21st we will be starting rehearsals for the 2nd half of our 43rd season. We are looking for new members to join us! Christmas at the Movies is the theme for our holiday show. More info to come! This is a non-auditioned chorus – we have all levels of ability – everyone has something to share! If you do not sing, but play guitar, bass, drums, etc. we would love for you to join our show band! 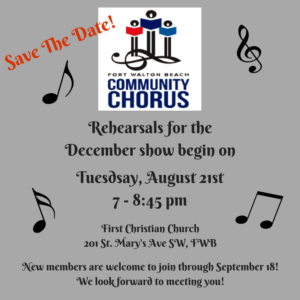 If you are interested, check out the “Join” section for additional rehearsal information and a new member form that you can fill out and bring with you to rehearsal. New members are welcome to join August 21 – September 18. We hope to see you at rehearsal! Watch out world, we’re going GLOBAL! 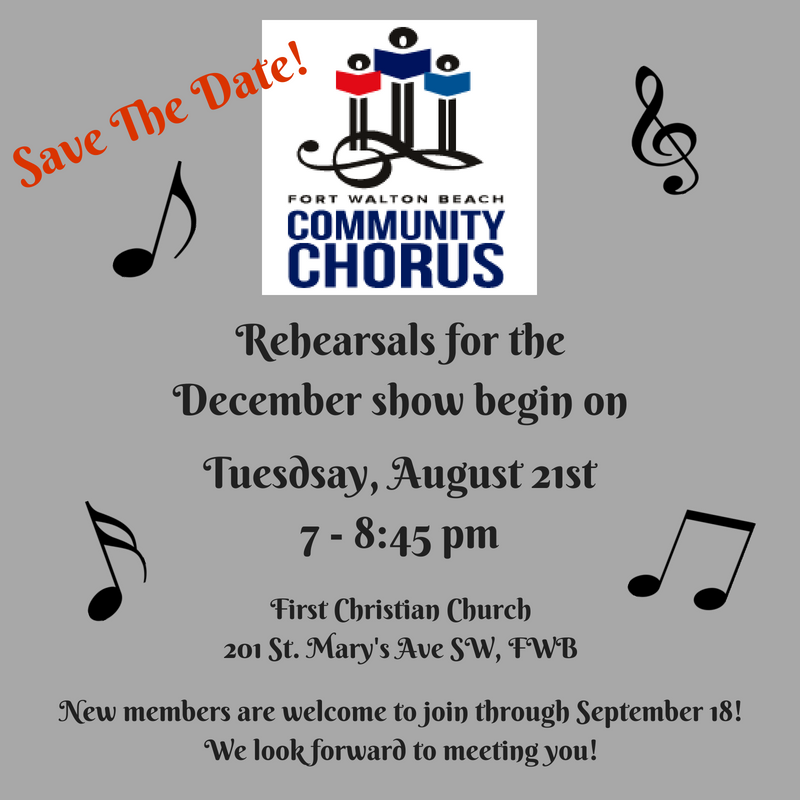 Introducing….Emerald Coast Friends of the Chorus!